and celebrities in growing their brand. and we work to strengthen it! John brings over 35 years of Strategic Business Development with proven results and experience to help entrepreneurs navigate through business challenges and optimize growth opportunities. John is passionate about transforming the lives of small to medium business owners using his successful “Profit by Design” program resulting in improved financial freedom, more personal income, with less stress, and a balanced lifestyle. John’s strength is in assisting Business Owners to advance their business and themselves to the next level by understanding their Business Model and then helping Business Owners fine tune or even overhaul their Business Model to catapult their business to perform at a higher level of profitability and efficiency with consistency. Results are a hallmark of John’s by taking Action daily on the Strategic Plan that is aligned with the Business Owner’s Goals, keying in on the unique strengths of the business using astute forecasting, unique marketing, and a keen focus on improving opportunities and converting them into higher sales. John is known to provide his clients and their business, “hope with a plan”. He knows what it is like to make the tough decisions to ensure profitability and to reinvent business in this new economy. John says, “It is about remaining encouraged and focusing on the purpose and taking action daily”. John remains active in the community by giving his expertise and time to business coaching groups, charitable and community organizations, business leadership programs, and non-profit organizations. 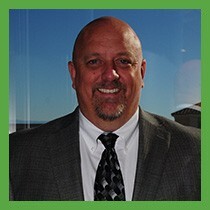 John enjoys speaking about numerous business topics and is available for speaking opportunities. John spends much of his time with his close friends and mostly family. He enjoys grilling out on weekends, reading on leadership and business improvement and faith based books, working out in the morning, camping in the mountains, traveling to the Caribbean, swimming with his daughter Ella, golfing with his son Grant, going to the movies and dinner with his daughter Shea, and date nights with his wife Angela. When time permits, John still finds time for boating, water and snow skiing. John admits to having a need for speed and still enjoys racing shifter carts at Bondurant or flying through the Dunes in a high speed sand rail or feeling the rush of adrenaline and wind in his hair as he skims across Saguaro lake in a high speed boat. Paul is a self-professed idea guy, a seasoned business executive, and veteran entrepreneur who loves to solve problems. Paul’s strength is in strategic planning, financial analysis, operational management, and business development, Paul spent 15 years in the hospitality industry and the last 16 years in information management & technology industry, Along the way, he successfully built and sold a service company and a training and installation company which has added to his broad experience. This experience is backed by a sincere passion to help small business owners achieve success…it is what drives him. 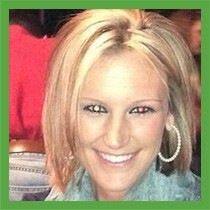 Erin has over 12 years of experience in marketing, web design, Internet marketing, social media and account management. She has worked with many different industries from software to property management to dental, law and more. She is a proud graduate of ASU with both her Bachelors and Masters in Industrial Technology.